Panasonic on Monday launched its first full-frame mirrorless Lumix S series with two models for the Indian market. LUMIX S1 is priced at Rs 199,990 and with 24-105mm F4 lens, will cost Rs 267,990 while S1R is priced at Rs 299,990 (body only) and Rs 367,990 with a 24-105mm F4 lens. The series -- LUMIX S1 and S1R cameras with 24MP and 47.3MP full-frame CMOS sensor, respectively -- is based on the L-Mount standard, which provides uncompromised imaging experience, the company said in a statement. –– ADVERTISEMENT –– "The new Lumix S series boasts intuitive control, a rugged design for heavy-field use, durability and expandability, and is suitable for professional photography and videography," said Sandeep Sehgal, Business Chief, Panasonic India. 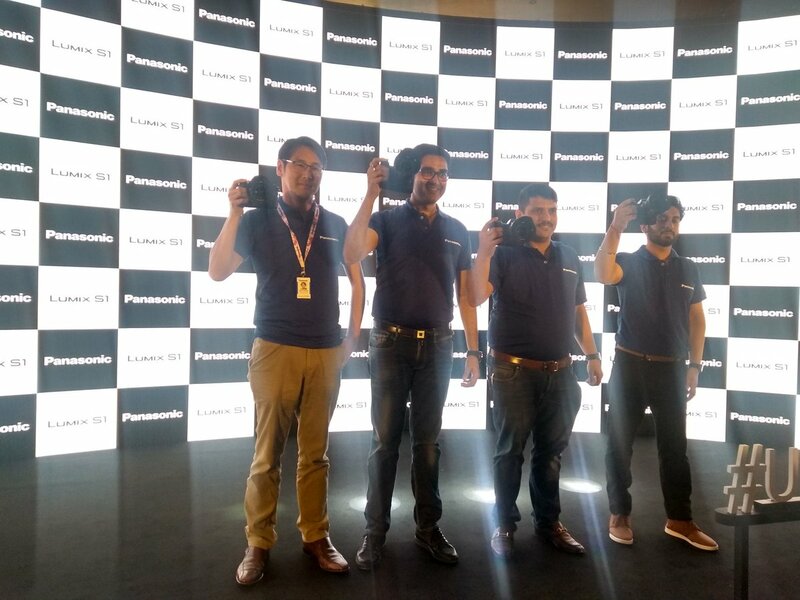 "The Lumix S Series showcases our commitment to India and we are extremely confident to achieve double-digit market share in the next two years," he added. The LUMIX S Series comes with industry-leading video recording performance, an effective image stabilization, rich gradation and superior colour reproduction. Lumix S1 and S1R offers a high-speed, high-precision AF system based on advanced control technology over the lens, the sensor and the new "Venus Engine" enable the user to capture the target in sharp focus without fail. "The imaging industry is a complex and demanding space and we have brought in defining changes by listening to our users and continuous investment in R&D to bring in industry-first technologies," added Manish Sharma, President and CEO, Panasonic India and South Asia. LUMIX S1R features a High Resolution mode for the first time as a mirrorless full-frame camera to enable 187MP ultra-high precision photo with a pixel shift technology shooting.